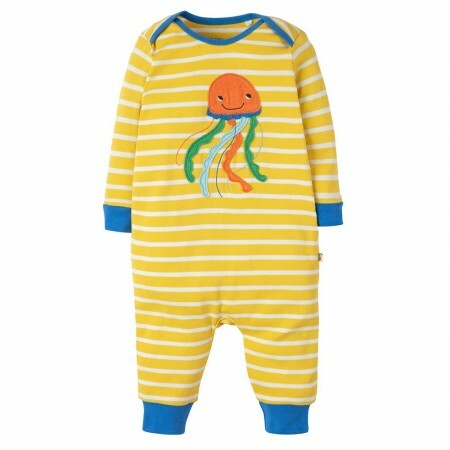 This yellow and white striped Frugi Charlie Romper is a lovely organic cotton babygrow with a cute applique jellyfish on the front. 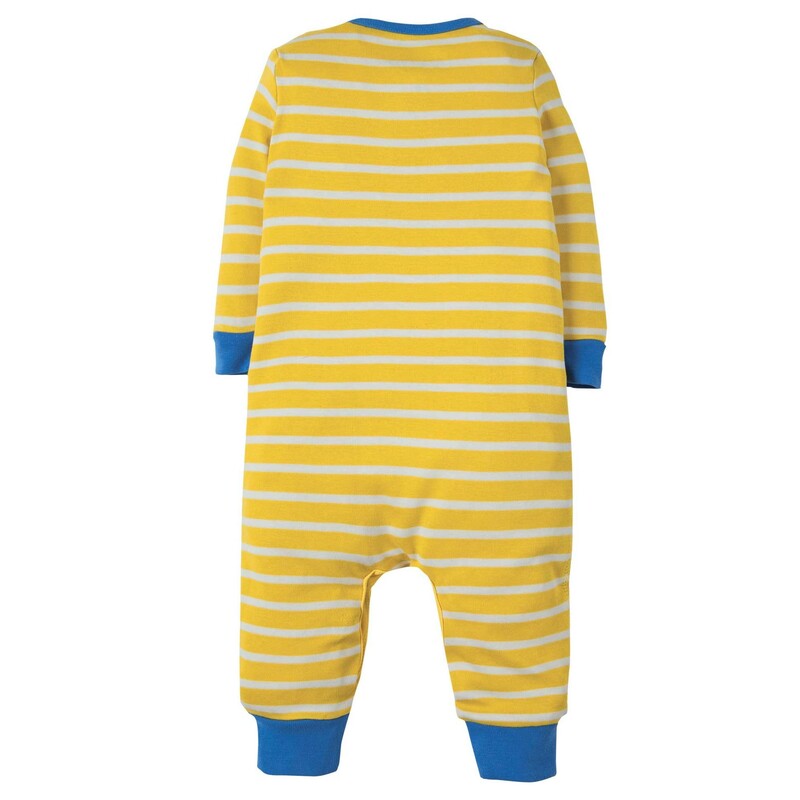 This Frugi romper has a bright blue trim and and cuffs, poppers up the legs for nappy changes, and an envelope neck for easy dressing - just pull it down instead of going over baby's head. This Charlie Romper has a jersey lining on the front to keep tots warm and has room for cloth nappies too. Perfect for day and night wear, and babywearing - this organic romper is a wardrobe essential for babies. Team up with a matching bodysuit for a fab Frugi outfit. 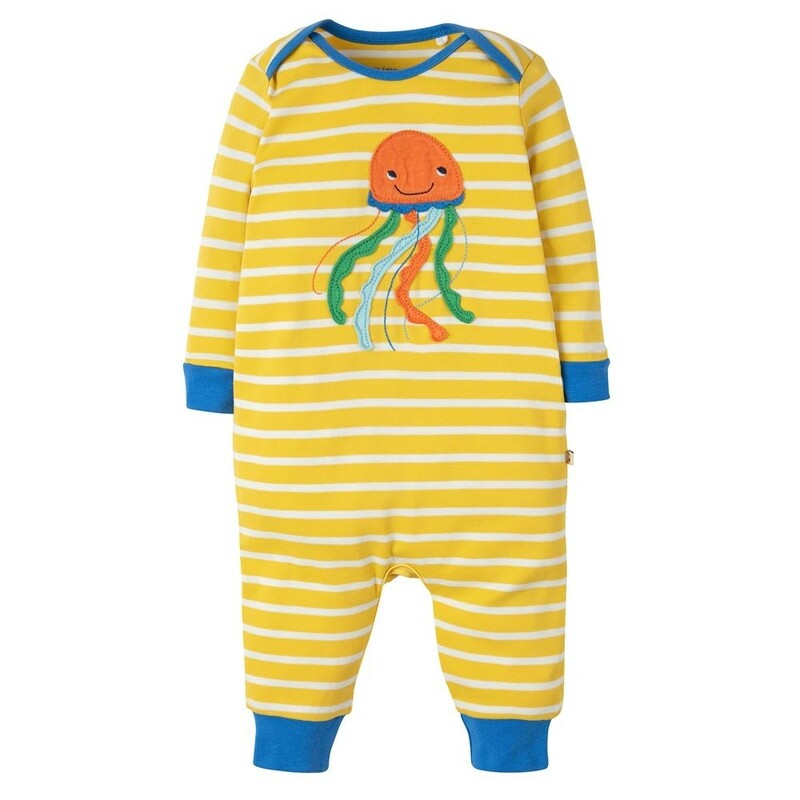 Ethically made from GOTS organic cotton, this Frugi romper will be a hit with green parents who want to buy natural, sustainable baby clothing. Join the sustainable fashion revolution with Frugi.